My Lady On Fire @ Berklee! Hey Everyone, we had a truly awesome experience working with members of Spiritual Rez, Les Special, WobbleSauce, Manifested, and HoneyTrain to recreate some of Will Raymonds compositions. We will post them as soon as they are finished being mixed and mastered. In the meantime here are a couple still in progress. 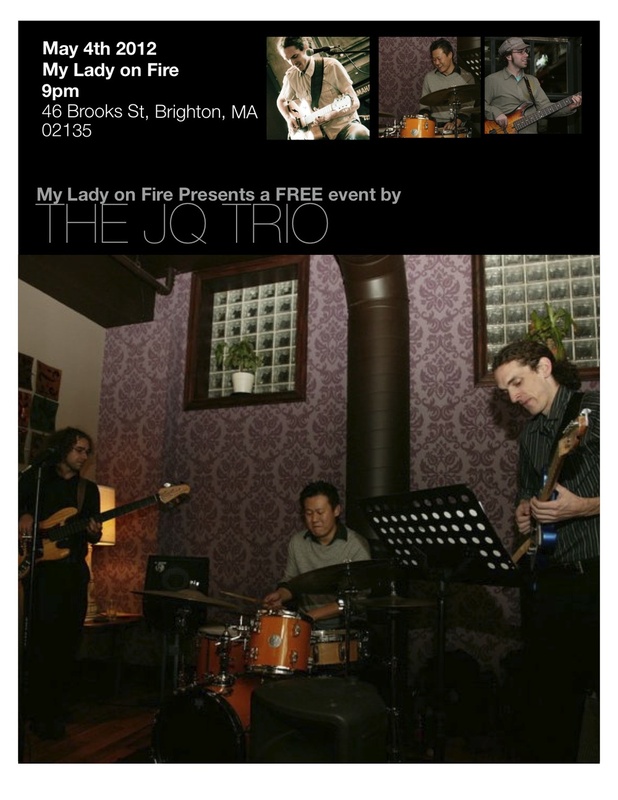 I am excited to announce that Jam Sessions at My Lady on Fire is back. Open to any style in a laid-back setting, it's a great chance to play with new musicians, network and try out some new tunes. We can even get a great multi-track recording of the session! We've done some upgrading and vamped up the place a little along with some new equipment and services. Please check out the new prices and policies to improve your experience here at My Lady on Fire. We're also offering some lessons. E mail us today to get you started on all your musical and audio needs. We are now providing a small a selection of lessons from some of the top graduating musicians in Boston. Are teachers are experienced and armoured with the best education in music with masters from some of the top music schools. We are providing lessons for drums, guitar, clarinet, saxaphone and flute. We are a fully fuctioning facility with all the amenities to help your lesson be as comfortable and rewarding as it should be! Musicians in New York. There's a great space up for rent in Brooklyn going for $500/mth. Living above a music shop, so you can practice and jam all night long. No Kitchen but awesome to sleep/shower/play. Shoot me a message if interested. Like the Naree and My Lady on Fire page on Facebook and get a free hour of rehearsal time to your session! We like to give the gift of giving so go ahead and check out our free download tab, we'll be adding more stuff as we go along, right now we have a lot of "Naree" goodies but we'll be getting stuff from top bands that use the space! And stay tune for live shows coming soon on the calendar tab!